Low supplies sent sales of existing homes lower last month, with three of the four regions of the U.S. reporting declines. The National Association of Realtors (NAR) reports total sales of previously-owned -- completed transactions that include single-family homes, townhomes, condominiums and co-ops -- fell 1.8% in June to a seasonally adjusted annual rate of 5.52 million. Even with the decline, last month's sales pace was 0.7% above a year ago, but is the second lowest of 2017. “Closings were down in most of the country last month because interested buyers are being tripped up by supply that remains stuck at a meager level and price growth that's straining their budget," said NAR Chief Economist Lawrence Yun. 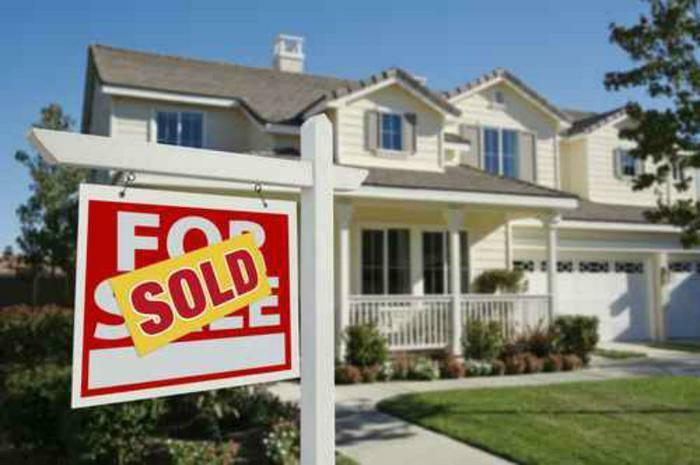 "The demand for buying a home is as strong as it has been since before the Great Recession. Listings in the affordable price range continue to be scooped up rapidly, but the severe housing shortages inflicting many markets are keeping a large segment of would-be buyers on the sidelines." The median price for all types of existing-homes in June was $263,800 -- up 6.5% from the previous June. That tops May as the new peak and is the 64th straight month of year-over-year gains. The median is the point at which half the homes sold for more and half for less. Housing inventory at the end of last month was down 0.5% to 1.96 million existing homes available for sale, and is now down 7.1% from a year ago and has fallen year-over-year for 25 consecutive months. Unsold inventory is at a 4.3-month supply at the current sales pace, versus 4.6 months a year ago. Existing-home sales in the Northeast fell 2.6% last month to an annual rate of 760,000, but are still 1.3% above a year ago. The median price was up 4.1% year-over-year to $296,300. Sales in the South tumbled 4.7% to an annual rate of 2.23 million, unchanged from a year ago. The median price there was $231,300 -- up 6.2% from a year ago. Previously-owned home sales in the West totaled 1.21 million, down 0.8% from May, but 2.5% above a year earlier. The median price shot up 7.4% from June 2016 to $378,100. In the Midwest, the only region to post a gain, sales rose 3.1% to an annual rate of 1.32 million in June -- the same as June 2016. The median price was $213,000, up 7.7% from a year ago.